Remember When a Reunion Was Really a Reunion? Look at those old Scottish Rite Reunion photos on the wall, when 100, 150, or even 190 men filled the auditorium to receive the Degrees of the Scottish Rite. Perhaps you were in one of those classes. But think about the men you aren’t seeing in those class photos – the 200 Brothers it took just to do the Degree work, and the men behind the scenes on the stage, in the costume room, or setting up the stage and drops Degrees. Back then, Northwestern Bell had a Degree team, Union Pacific had a Degree team, the Lodges had Degree teams – and it was a point of pride that the 23rd Degree belonged to this Lodge and the 19th Degree belonged to that company. It was truly a REUNION – whether Brethren were active Scottish Rite Masons or only came back once or twice a year for those degrees, they came back, caught up with old friends, met new ones, and much like today, sat around behind the scenes to solve the problems of the world, ate donuts and drank coffee, and shared a laugh while welcoming the new Brethren. 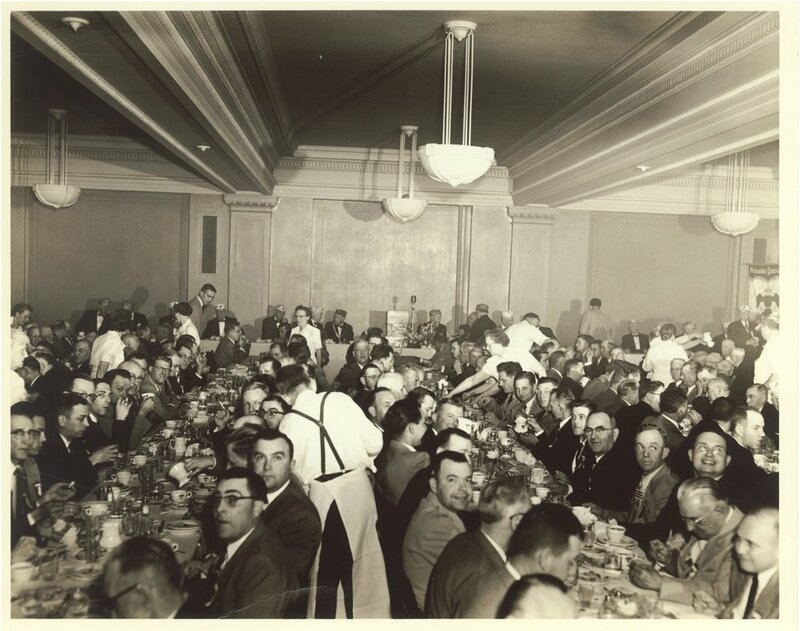 Afterward, the Brethren stayed around for a banquet, and it was commonplace to serve upwards of 1,000 Brothers in the Lodge room (we can only assume the Fire Marshal was not a Scottish Rite Mason). They would fill the dining room and spill downstairs into the first floor dining room for overflow seating! We are working to bring back the tradition of the REUNION. This year’s Fall Reunion is on Thursday, Friday, and Saturday, April 25, April 26, and April 27, 2019. All Scottish Rite Masons are invited to come down to see the Degrees, have a coffee, donuts, breakfast and lunch, and meet our new Princes of the Royal Secret. True Masonic Brotherhood happens as often when Brethren break bread together, share a laugh and meet on the level as it happens in the Lodge room. You are part of this 150 year old tradition. Come down for some of the degrees if you can or stay for all of the Reunion. Make new friends and catch up with old ones. 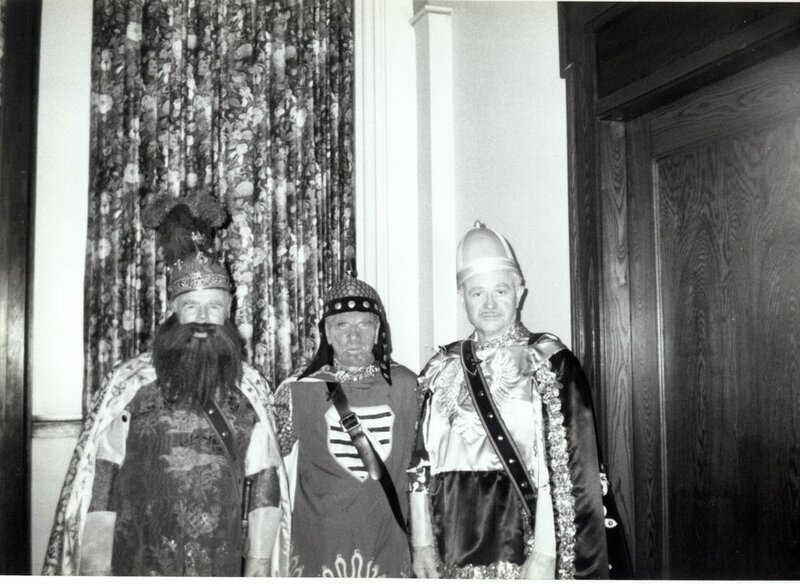 Be part of the Scottish Rite Reunion This Spring!